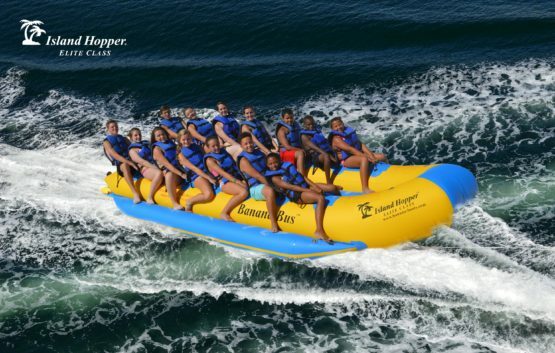 The Island Hopper® “Elite Class”14 passenger Banana Bus ™ is a commercial grade banana boat towable that was specially designed to shuttle riders and equipment to and from beach operations while giving passengers a fun and comfortable banana boat ride. 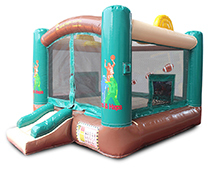 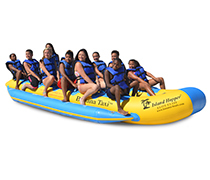 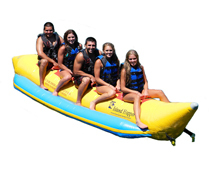 This product is the same design & heavy construction as our popular 12 passenger Banana Taxi ™ only it is longer, wider, and taller making more room for adult size riders. The Banana Bus ™ has 14 seats, a rounded enclosed bow, and an inflated floor to provide an exceptional ride in choppy lake or ocean conditions. Beach abrasion … No worries! 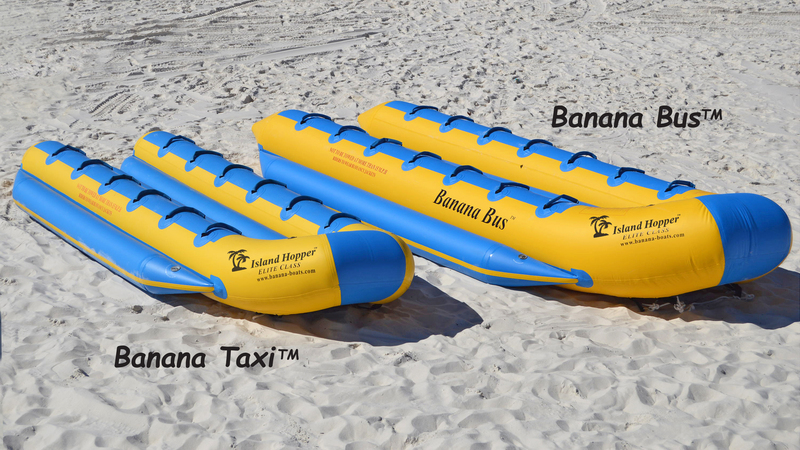 The Banana Bus ™ is built tough using 1100 Denier UV resistant 9.0 mm PVC Materials. 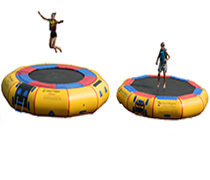 All seams and cones are WELDED for commercial strength and extended life. With this re-enforced material and state of the art welding technology, the Banana Bus ™ is prepared for any commercial beach operation, no matter the environment. 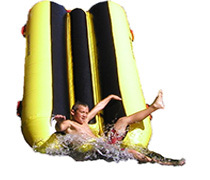 • 6 valve and 6 air chamber construction Great design for choppy water or Ocean use. 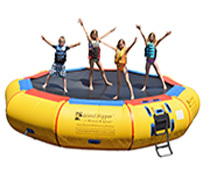 • Ships complete with storage bag, foot pump & repair kit. 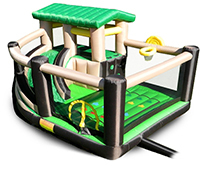 Double boxed & bound for secure shipping. 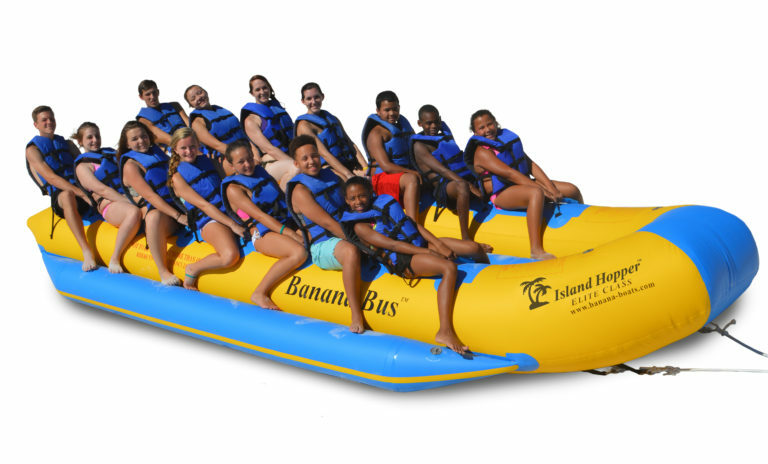 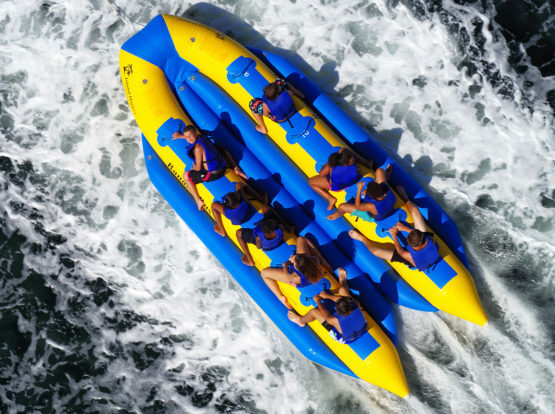 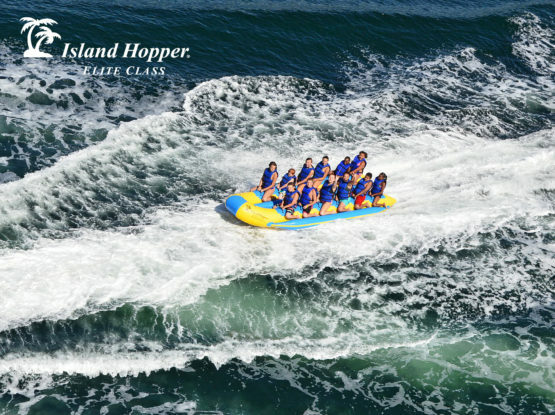 The Island Hopper® "Elite Class" Banana Taxi is now our best seller for summer camps and water enthusiasts. The Banana Taxi has 12 seats and inflated floor for a stable ride so you can comfortably transport gear and passengers. 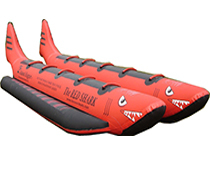 This product is excellent in choppy conditions and ocean use. 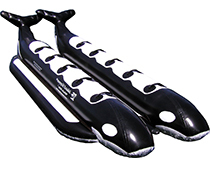 6100 lbs strength - perfect for 6-12 Rider tubes. 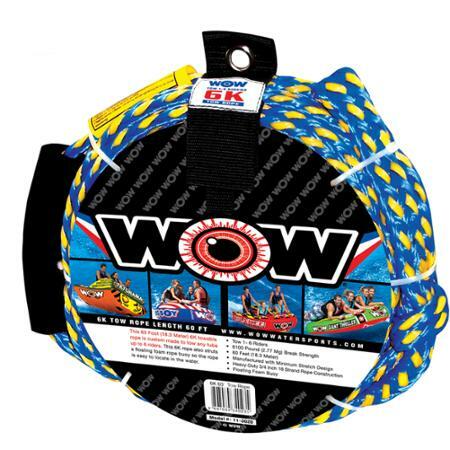 Recommend rope for all Commercial Banana Boats. 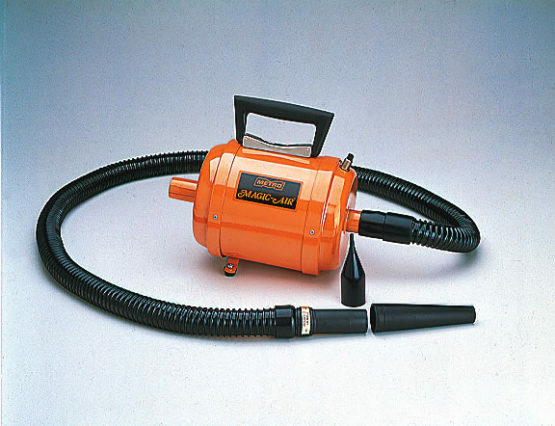 Deluxe blower for heavy duty commercial units. 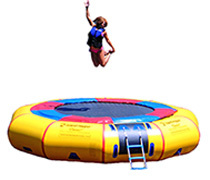 Gets the job done faster!